Love, love, love this little guy. He is 1,000% adorable. Very creative!! Best shop to buy plushies, no two are alike! Love buying from this shop! My partner was so excited to receive this as a gift, thank you! I love this beautiful octopus. She is stunning and made beautifully. I love it. Excellent quality. I love love love this artist! Creative and beautiful! Great quality and craftsmanship. Fast delivery and beautiful packaging. I will most definitely be buying more. Arrived fast and well packed, and it’s so cute. I love this. It is so original, and the quality is amazing. This is by far the most amazing item I’ve purchased on Etsy. Mark is incredibly talented and creative and pays so much attention to detail. I’m blown away by his talent and am thrilled to add this to my collection of Stitches. Always the most delightful and lovely gifts made with love and a creative heart. Thank you Mark again! Sandy was PERFECT! My son LOVES him and Sandy has chased away his bad dreams! love this little guy!!! great product, fast service! thank you!!!! It’s ADORABLE. Mark always does such great beautiful handiwork on these creatures. This one has a fitting backstory, too! I’ve always been a fan since you were sitting out in front of Atalanta’s in Bisbee. I’m always buying and giving them out as gifts! another perfect unique gift. I couldn’t be happier. 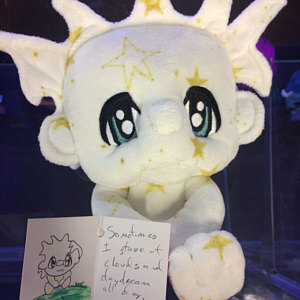 Mark makes the very best little stuffed art dolls I’ve ever seen. I’m always a fan, and I adore dragons the best. Thank you Mark! 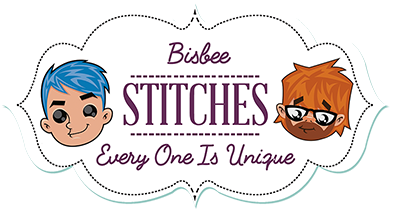 Join literally thousands of adoring and happy “Stitches” owners. Each one is custom, one-of-a-kind, handmade with love.